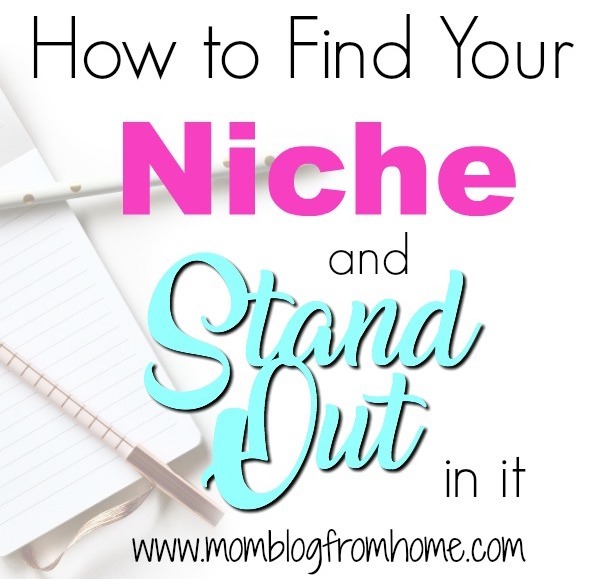 How to find your niche or topic of your blog is a very important first step in blogging. This decision is hard to change later on without starting over. 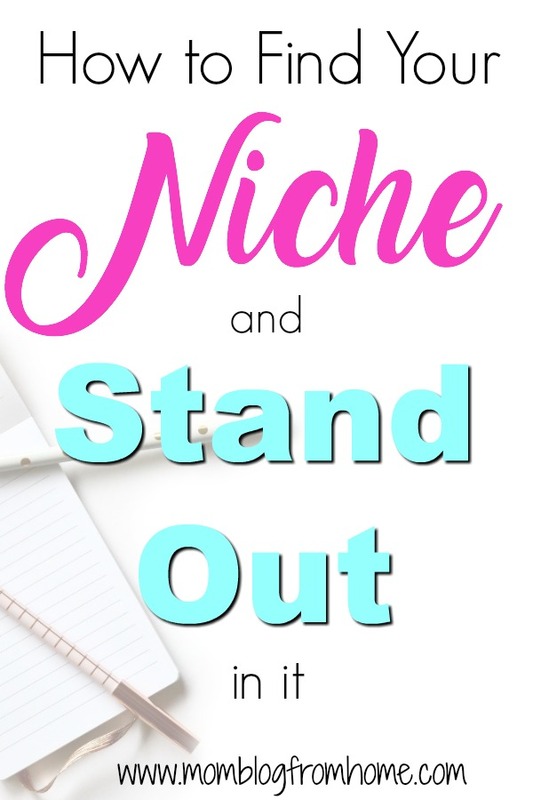 Maybe if your blog name was something broad but most likely you will want your blog name to be what your niche is so again it would be hard to change later on. That why it is so important to take time and make sure you find your niche and stand out in it rather than keep changing your mind and wasting time. For example, my blog name is Mom Blog From Home and it’s about teaching moms how to blog from home. 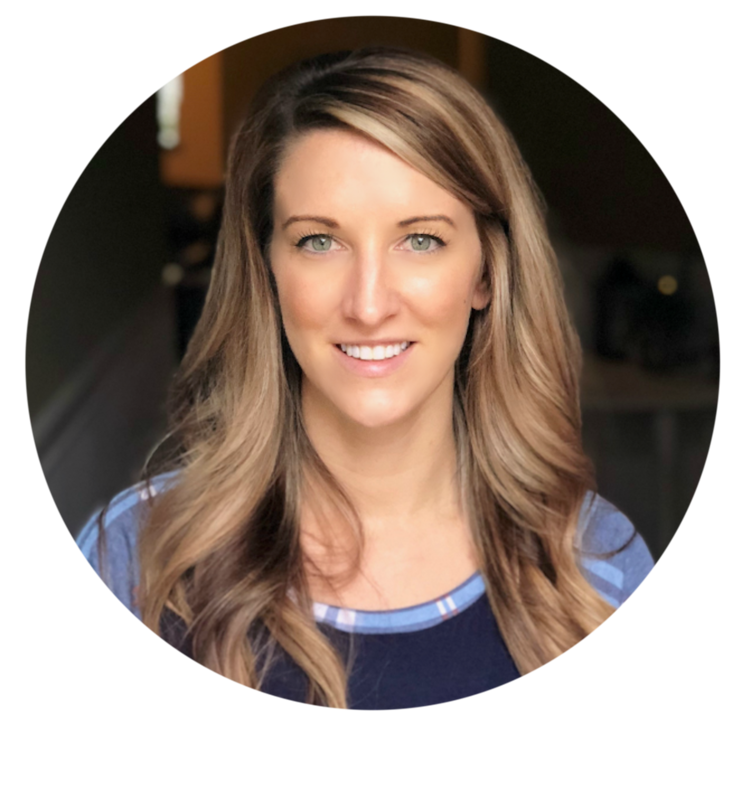 If I wanted to change my niche I could possibly spin it to where I am a mom blogging from home about a certain topic but I wouldn’t be able to change my niche to teaching people how to care for puppies or something like that. It just wouldn’t make sense with the name of my blog. I have personally gone through this many times so I am speaking from experience. I have always wanted to blog but never knew what to blog about. I would change my mind too many times. Then when I finally decided on a niche I would buy the domain name and then panic and change my mind again but of course, it was too late by then. 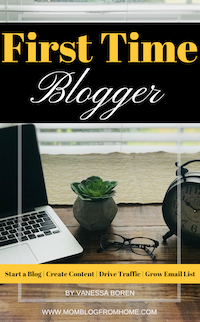 I still have some of the domain names I have purchased in the past but it wasn’t until I finally went with my heart and chose to teach about blogging did it all come together. First, a quick note if you are questioning if blogging is even right for you: Check out this post that I wrote to help you decide if blogging is right for you! 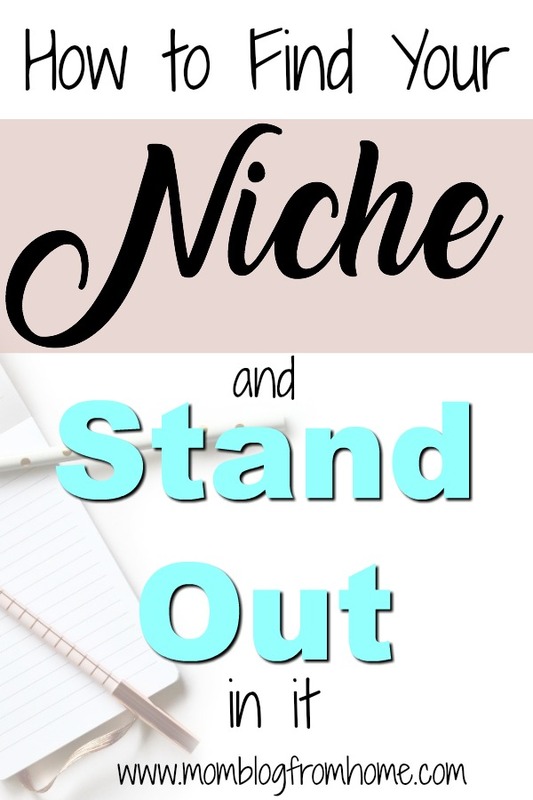 As I have already stated you really can’t change your niche later on after you have committed and been blogging about that topic plus have a domain name for that topic as well. You would most likely have to start over and no one wants to do that. So, it is better to just take a few days to really think it over to make sure it is the right niche market for you. One thing you will hear from other bloggers and you are going to hear it from me is that you need to be passionate about your niche. If you are knowledgeable in a subject but you aren’t passionate about it then that is probably not the one to go with. Let me give you two examples. First, I feel I am pretty knowledgeable with children. My mother ran an in-home daycare for 20 years so I grew up in that daycare for 15+ years. Once out of college I had my daughter and I opened up my own daycare that I ran for two years. Since then I have worked on and off with the 1-3-year-olds at a private school in town for a total working time of a year. I have taken many safety courses and done many trainings plus obviously years of hands-on work. However, though I love them all dearly, I don’t believe that is my calling and it is not my passion. Maybe it is a skill I have to handle little children when many others can not but again it is not a passion. I had thought about all the different niches I could use that involved children that I would be able to blog about for a long while. But those times when you have had a long day and you just don’t feel like working on your blog, those will be way too easy to give into. If you are passionate about your niche then you will look forward to working on it. It won’t feel like work at all!. Also, then you will strive to learn more and grow in your niche market! Second, I have some knowledge about health and weight loss. I have my own weight loss success story after finding these awesome products that I have been taking since 2012. I started them after a friend had lost 30 pounds and looked amazing and was full of energy. I got on the products and the program and I ended up losing 20 pounds and I am still at that 125-pound mark I ended at years ago. I learned so much along that journey that I would love to share with everyone. However, I quickly learned that people want to have their cake and eat it too….literally! When it comes to weight loss no one wants to actually put in the work and most are quick to shut anything your say down (even if you have all kinds of proof). It is something I am passionate about for myself but I am not passionate about trying to convince people that it works. I know it does and so for me, that’s all that matters! Of course, I am willing to share what I have done and what I know with those who want to know but I am not going to try and argue with everyone that thinks their products are better or whatnot because that’s usually what happened. I was just so beyond blessed to have my friend share with me these amazing products that help drive me every day so I would never want to deprive someone else of them. Again though, it always turns into a battle and that is no fun for me. Teaching moms how to blog though is a strong passion of mine! I absolutely love it! We are all learning and growing together and everyone is so kind to one another and grateful for the help so it makes teaching and helping others so much fun! I had thought about all the different niches I could use that involved children and health that I would be able to blog about for a long while. But again, those times when you have had a long day and you just don’t feel like working on your blog will be way too easy to give into. If you are passionate about your niche then you will look forward to working on it. It won’t feel like work at all!. Also, then you will strive to learn more and grow in your niche market! If your blog goes well then you should be blogging for years, right? If you grow your blog and you are bringing in an income then that will be your source of income for….well ever! Make sure your niche in something you can stand to blog about forever. Of course, you can also start another blog later on once this one is successful but you wouldn’t want to close the first one either way so again back to being able to blog about that niche for…ever. There is the chance that you build your blog up and then sell it and start over again but I believe most will keep it and continue to grow it. Your blog becomes your baby. Something you have started and worked on every day. Something you have built from the grown up. There is some investment to starting a blog so you once more you want to make sure you know for sure what you are going to be blogging about or what your niche is going to be before you make any purchases. The main one that you can’t take back is your domain name. Luckily, domain names are fairly inexpensive so you won’t be out much money if you do change your mind. I purchased Mom Blog From Home at NameCheap. I have also used GoDaddy in the past but I now prefer NameCheap. Their prices are better and they don’t try and upsell you on everything at checkout like GoDaddy does. You go in trying to just purchase your domain name for $3-$20 bucks and by the end of checkout, they have asked you to add on so much that you now have over $100 in your cart? NameCheap just sells you the domain name. Time is money as they say and if you get too deep into creating your blog around your niche and writing blog posts then you will have done that all for nothing. You have not only invested money on a domain name but you have also invested time. Take some time to think about everything you could write about. When it comes to brainstorming nothing should be left out. Write down everything that comes to your mind because it could, later on, lead you to your perfect niche. My husband is such a hard worker it amazes me every day and after 11 years together you would think that he would have slowed down some but no he just keeps trucking and working harder and harder each day. The most impressive part to me is how smart he is. He has his private pilot license and a CDL and they are both passions of his. He is extremely knowledgeable, yet humble, about what he knows. So we talk about starting a business all the time for him. The catch always is that it costs so much to get started. So, he started with what he had and started his own lawn care company. After working long and hard hours at work he would still come home and mow yards. He grew his business very fast (too fast) and we couldn’t keep up. Over the winter when things calmed down we have talked about what to do this summer when it starts to pick up again. In the meantime he got a promotion at work and now is the Transportation Manager growing a trucking company for the oil company he works for. He knowledge and experience in trucking plus his worked ethic has earned him that position. Now, with a new more demanding job he does not have the time to mow yards anymore but he is not ready to just give up his side job. So he has come up with the idea to narrow down his niche even more to just spraying fertilizer which takes up less time, pays more, and it much easier than mowing in the Georgia heat. He has taken his idea and narrowed it down to a smaller niche. Now is when you will take every topic you came up with and start narrowing it down. Here are some examples. So that you stand out even fuller you can narrow your niche down once more! The pool of people that will be searching for Health and Fitness is really large. That is great but there is also a large number of people providing that information. If you narrow it down to just exercises then that narrows down the people looking and the people providing the information or your competition. Then if you narrow it down once more and be very specific then odds are you will have even less competition. Yes, you will have fewer people searching but that is okay because you will have a more targeted audience. You are more likely to get a better turn out with a more targeted audience than to be lost in the crowd of every other website out there on the broader niche. For example Mom Blog From Home: It is about teaching moms how to blog and how to use that money to pay off debt. I narrowed it down from not just about blogging but to teaching moms to blog, then to narrow it down once more to teach them how to use their blog to pay off debt. Another example is my husband. Like I told you he now has the idea he wants to spray chemicals on yards. It would be fertilizer, weed killer, bug spray, etc. which is a more targeted niche. It’s not all yard work, it’s not mowing, it’s not landscaping, and it’s actually not even just spraying chemical. How he has narrowed his niche down even more than just spraying chemicals is he is looking into flying a drone to spray the chemicals. He is now bringing his love of aviation into the equation. This will help him be able to use his passion in his niche. He never lacks motivation but it will turn work into fun for him. He grew up farming and watching spray planes treat fields and now he has the opportunity to be able to do something very similar. This also helps him stand out in the drone business. He has had his eye on a drone for years but it just didn’t make financial sense to purchase such an expensive “toy” in my eyes. We already have some pricey model airplanes that just hang in the garage haha! He has many visions but one of them has been to have a drone business but taking pictures for realtors isn’t really his thing. So again, this just makes sense for him. He loves flying, he loves farming, he is knowledgeable in chemical applications, it just all comes together. It also is a very narrowed down niche. Keywords are another major part of picking out your niche. If there are keywords in your niche that you could use then that will help drive traffic to your blog. Keywords are words that are popular or searched for often. You can go to kwfinder.com to search for long-tailed keywords and see how popular they are. If you can use a long-tailed keyword in your domain name and use as your niche then when someone searches for that term your blog with pop up. I thought long and hard about my blog name. I didn’t want it to be my name as some bloggers use and I wanted it to be somewhat clever. Mainly I just wanted it to make sense and after brainstorming and praying, Mom Blog From Home came to be. I was a mom blogging from home. This way I have two key phrases in my domain name. When “mom blog” is searched or when “blog from home” or really anything “from home” I will be in the search results. Now whether I am on the first page or the millionth page, that will all depend on my Google ranking. However, if someone searches “how to mom blog from home” I should be on that first page! If your blog niche is going to about teaching others how to care for their puppies you could have your domain name be “how to care for my puppy.com” It may not be the cutest name but I know that’s what I would type in looking for how to care for my puppy so then your blog will pop up! Of course, everyone wants to find a niche that has no competition but I once read that having competition isn’t necessarily a bad thing. That means that niche is in high demand. It must be popular to have others in that same niche. That’s again where setting yourself apart from your competitors comes in by narrowing down your niche to be more specific for a more targeted audience! There needs to be a way to profit from your niche. Unless you are purely blogging for fun. If you are like me you are looking to make an income and so you need to not only find something that you can make a profit from but something people are actually purchasing too. For example, just because recipes is a popular niche and you could sell your own recipes doesn’t mean someone will buy your liver and onions recipes. Sorry for those that like liver and onions I was trying to think of something I wouldn’t (or most people wouldn’t) eat. So make sure that your niche isn’t all about something that no one wants. To avoid that, a great suggestion is to do some market research yourself and see if there are others out there. Odds are if you can’t find any other sites that are like your targeted niche, then it probably isn’t a good one to go with. It is nearly impossible to be the first one in that niche. 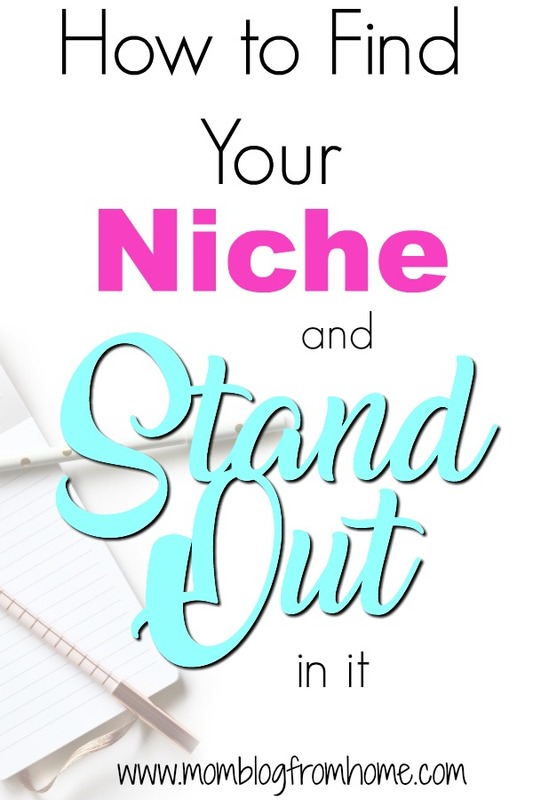 If you find successful sites with that niche then you can see that there are people purchasing in that niche and you just need to jump in and set yourself apart to get a piece of the pie! So how do you make a profit in your niche market? One way to make money is to do affiliate marketing. That is selling someone else’s product. You advertise for them or suggest their product to your readers and when they make a purchase you get a commission of that sale. To join affiliate programs you can go to the site of the product you wish to promote and most sites that offer an affiliate program have a link at the very bottom. If you don’t know who sells a product you wish to promote you can search in google “the product + affiliate” and companies that sell that product and have an affiliate program will pop up! You can become an affiliate for Amazon and promote all kinds of products, you can go to Commission Junction, Share a Sale, or Rakuten LinkShare and they are companies that handle big companies affiliate programs like WalMart and more. You can make money by having ads on your blog. All you would do is just write blog posts and drive traffic to your blog and the more traffic the more you get paid for ads on your blog. You can join Google Adsense to start with and then once you grow your blog you can join more ad programs later on! Many programs won’t accept you until you have reached a minimum number of page views per month. A great resource to explain more about ads is this ebook by Victoria Pruett called Make Money Blogging At Any Level. She talks about how she makes over $5,000 a month with her small blog about her homestead life! A great way to make an income off your blog is to create your own products. Write an ebook, create printables, create courses, or have a membership site. Don’t let those scare you off they are much easier to do that you may think! Creating your own products enables you to make the full profit as well. You don’t only just get a cut of someone else’s products you get the full cut for yourself. Ebooks and printables are just PDF documents that you create and then sell on your blog. You can either use Teachable like I do and so many other bloggers to handle the buying and selling of your products or you can use a WordPress plug-in. If you choose the plugin method you can search for which plugin to use or you can use the one that Victoria mentions in her ebook above. Lastly, you can offer your services as a way to make an income off your blog. You can sell your coaching services. Coach people how to market their business, coach people how to lose weight, coach people how to trade stocks. You can sell your teaching services. Teach people how to speak English (or any language), teach homeschooled students, teach people how to care for their new puppies. You could sell your organization skills. Maybe you have a blog where they can purchase a package from your that includes one live chat a week to help them organize their life, their house, their finances. You can see that the possibilities are endless! 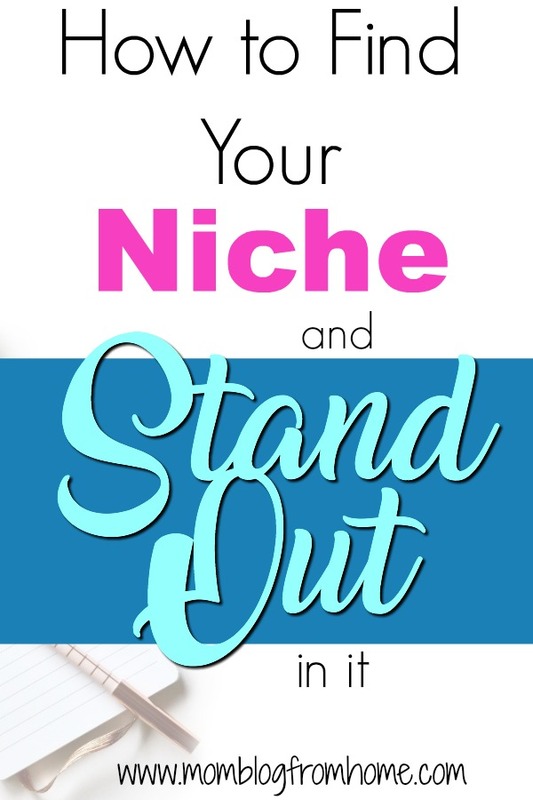 I hope this helped break it down on how to find your niche and stand out in it! It is a true passion of mine helping moms learn how to blog and how to use their blogs to pay off debt! I started my blog on the side and now this summer of 2018 I am taking it on full time! I have much more to offer and I can’t wait to share it with you! If you have any questions please comment below and I would love to help you! Ready to start your blog?! 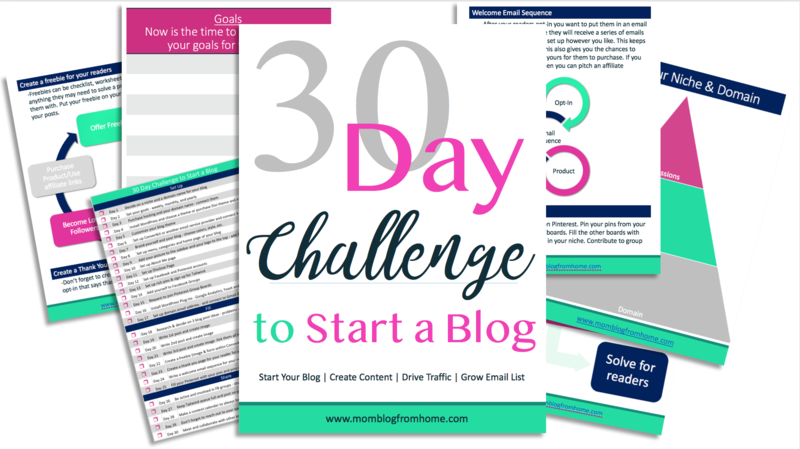 Download my FREE 30 Day Challenge to Start a Blog!